It's been a bit of a bad year for William Gates III - before long he might no longer be the world's richest man. After losing money hand over fist due to delays of Windows Vista , and incurring significant net losses on every Xbox 360 and Zune device sold, we're sad to report that poor Bill has only earned himself a modest £1.03bn this year. It's a sorry state of affairs. Gates may be concerned to hear that he is now worth a fairly disappointing £29bn. That's according to the latest Forbes list. And it only gets worse for the Microsoft magnate. His 13-year reign as the richest man on the planet is also under threat. Mexican mogul Carlos Slim Helú earned himself a fairly healthy £9.8bn in 2006, which is the biggest cash harvest by any man in a single year for over a decade. Gates is now a mere £3.4bn richer than his Mexican rival who is officially the third richest man in the world, £1bn behind Gates' mate Warren Buffett in second position. Buffett, like Gates, is also a notable philanthropist. 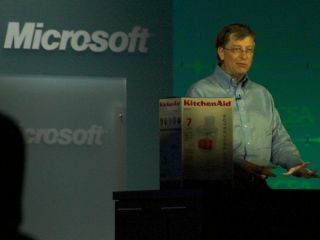 It would take 1,000 supermarket checkout workers 2,500 years to earn as much as Bill Gates has accumulated since he launched Microsoft in 1975. It probably goes without saying that Bill would prefer that figure to be closer to 3,000 years, give or take. Poor guy.